What is a Flying Club? 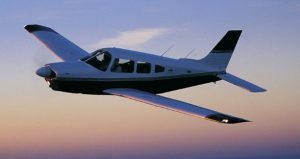 Whether you want to build your flying hours, or you are just flying for fun, joining a flying club will be a very rewarding process. But there are many details you should carefully look at before signing with a club. You don’t necessarily need to be a professional pilot to know that flying in a well maintained aircraft is paramount. For safety reasons, pay attention to the overall organisation of the aircraft to get a feel of the general standard of the flying club. Be sure they are well maintained and have been approved by the Aviation Authority of the country. If necessary check if they have modern planes and if the club has enough planes. Go as far as you can to gather information about the clubs reputation. Ask around to know what kind of services they offer, and if they are professional and hospitable. Their safety history, the instructors experience level and qualifications should equally be assessed. It should be a club that operates under the rules and regulations of the Aviation Authority of the country and is highly reputable. To be honest, flying is not the cheapest hobby to have, so investigating costs can save you money. Find out about added charges for ground instruction and fuel surcharges. These are the factors that will help you determine the true cost of being a member of a flying club. Know the ratio of the student pilots to the airplanes. If the process of reserving an aircraft in a club is time consuming and inefficient, then there is no point in joining them. This step is unavoidable because, as a member of a club, your protection is a very important aspect of being a part of that flying club.